When it comes to cookies, I’m pretty much an expert! So you can trust me completely when I tell you that these thin and chewy maple sugar cookies are the bomb! Hey there! 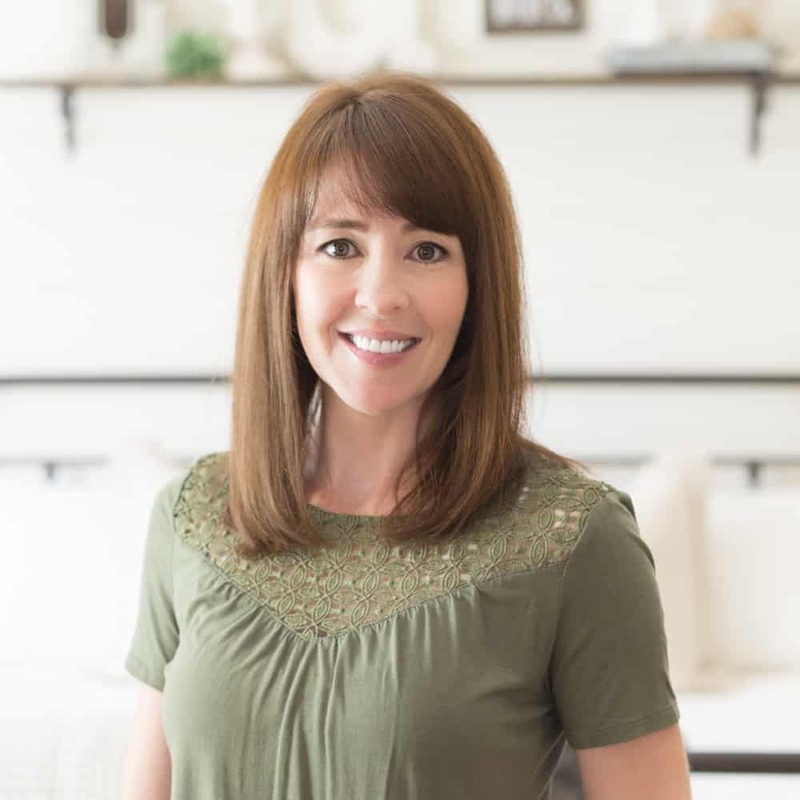 In case we haven’t met, I’m Kristine from Kristine in between and I love cookies. So naturally, I’m stopping by to share one of my very favorite small-batch cookie recipes with you today! I had a really tough time deciding which recipe though, because to be totally honest, I have about three-gazillion favorites; I know, it’s it’s borderline ridiculous, really. But, I finally decided these thin and chewy maple sugar cookies were the obvious choice. Because it’s fall and because, well, you need them. I’ve baked a whole-heck-of-a-lot of cookies in my day; everything from simple sprinkle chocolate chip cookies to festive pumpkin ginger molasses cookies and I never, ever get sick of cookies. Nope. I do; however, run out of ideas and I have to get creative when I’m brainstorming new recipes though. Actually, that’s how these thin and chewy maple sugar cookies came to be! Sugar cookies happen to be my favorite of the cookie varieties; I don’t know why, I’m just a plain Jane kinda gal I guess. That and I truly appreciate the simplicity of a good sugar cookie. But…you can always improve on a good thing right? Precisely. 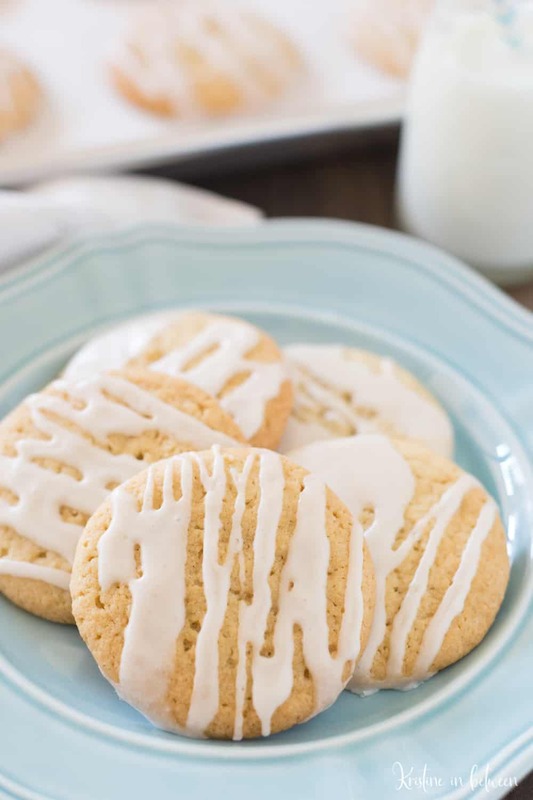 So if I were to add maple syrup and a sweet maple glaze to my plain old sugar cookies, they would become something even better, wouldn’t they? You bet they would! Wa-la! With just a few changes and a few added ingredients, it’s a whole new cookie! And just so you know, these little cookies have the best texture; they’re chewy in the center and crispy on the outside. They also have just the perfect hint of maple in the frosting, which is hands down my favorite part. As I mentioned above, this is a small-batch recipe (which most of mine are, it’s kinda my thing – wink), so it only makes about 2 dozen cookies per batch, but if you’re feeling really hungry, you can easily just double the recipe and make more! If you have a list going for all the things you want to bake this fall (me! 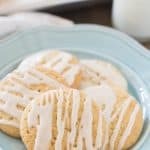 ), don’t forget to add these thin and chewy maple sugar cookies, they’re sure to become a favorite! In a large bowl, cream butter and sugars until smooth. Add maple syrup, baking soda, cream of tartar, and sea salt and stir to combine. Add flour, half at a time, and mix until fully combined. Scoop dough onto baking sheets using a 1 TBS cookie scoop. 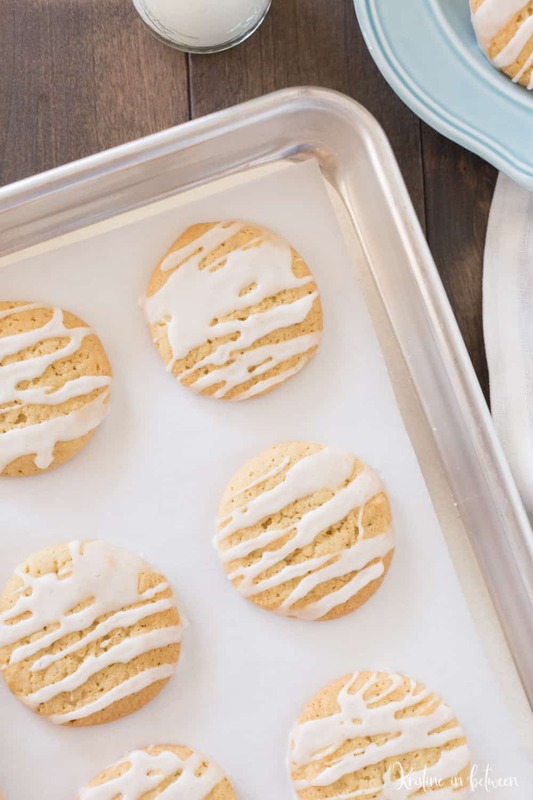 Let cookies cool completely on the cookie sheets. While cookies are cooling, in a small bowl whisk together all ingredients until smooth. Transfer cookies to a wire rack to harden. These cookies look so nice! I want like 2 dozen of them! I love maple syrup, I can image that maple syrup glaze. ???? I can tell you’ve baked a lot of cookies. 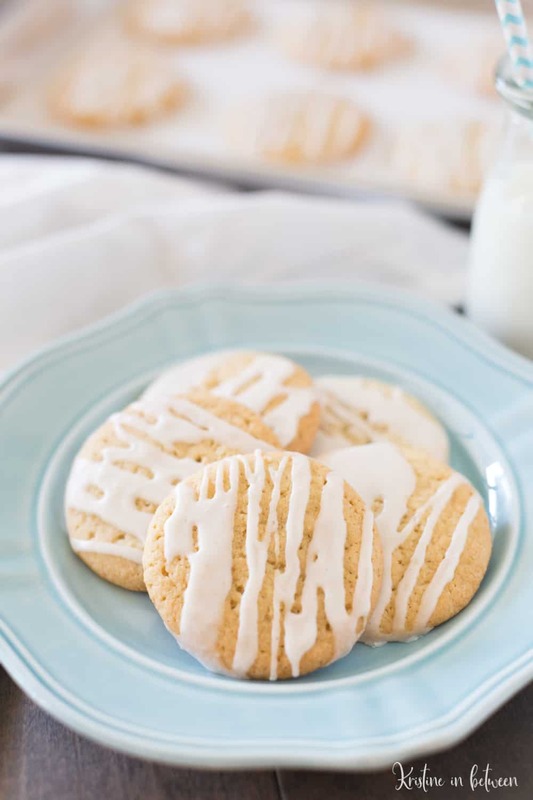 Those Maple Sugar Cookies look just perfect! Love the drizzle too. Haha! I do, Ginny! If I could, I would bake cookies every single day! Oh my they look wonderful, I really don’t bake anywhere near often enough! Yum, yum, yum, I will have to make these cookies soon. I love maple syrup and making it into cookie form. This is close to being perfect. Thank you so much Luci! Let me know how you like them.